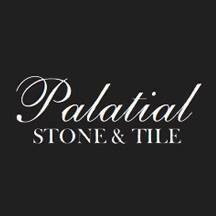 Palatial Stone and Tile is a full-service showroom offering the highest quality natural stone, porcelain, artisan tile, glass and mosaic products. Walk-in shoppers are always welcome at Palatial Stone and Tile. For undivided attention and design assistance, we recommend calling ahead to make an appointment.